Elite Jewels is proud to offer packaging and free gift cards. It's just another way Elite Jewels tries to make your gift giving experience a perfect one. 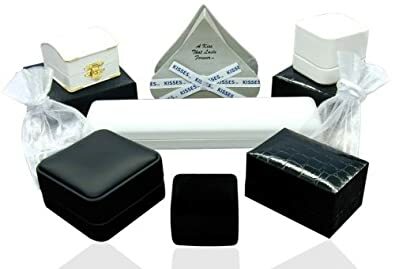 Depending on your purchase, your jewelry comes in one of our distinctive selection of boxes and casings. Elite Jewels is proud to offer a free gift card with your order. In the shopping cart, simply type in your personal message and we will be sure to have your gift card placed with your gift.